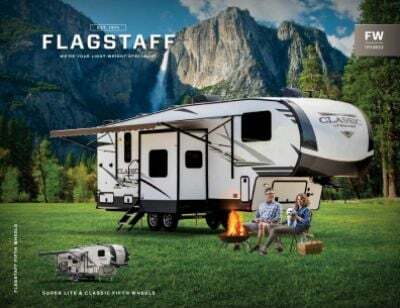 Experience the camping trip of a lifetime in the 2020 Forest River Flagstaff Classic Super Lite 832FLBS! This Travel Trailer is ready to go on the road! You'll find incredibly low prices and a huge inventory of all the top brands here at Tradewinds RV Center, one of the top RV dealers in Michigan! Whether you live nearby or are just driving through Clio, stop into our lot at 4325 W Vienna Rd Clio Michigan 48420 to find your next RV! With our great deals and easy financing, you'll save $1000s! If you have any questions on this Travel Trailer, call us at 810-686-0710! Our friendly, knowledgeable sales staff will show you how you can own your dream RV at a dream price! And with our fast, reliable 24/7 delivery anywhere in North America, it'll be at your door in no time! Long distance travels are worry-free in this beautiful and reliable RV, which is 35' 5" long, 8' 0" wide, with a sturdy GVWR of lbs. and a hitch weight of 1243 lbs. Even if you're camping in a desert, you can still enjoy shade outside under the 17' 0" patio awning that's super easy to open! The Flagstaff Classic Super Lite 832FLBS is built with lots of living area. 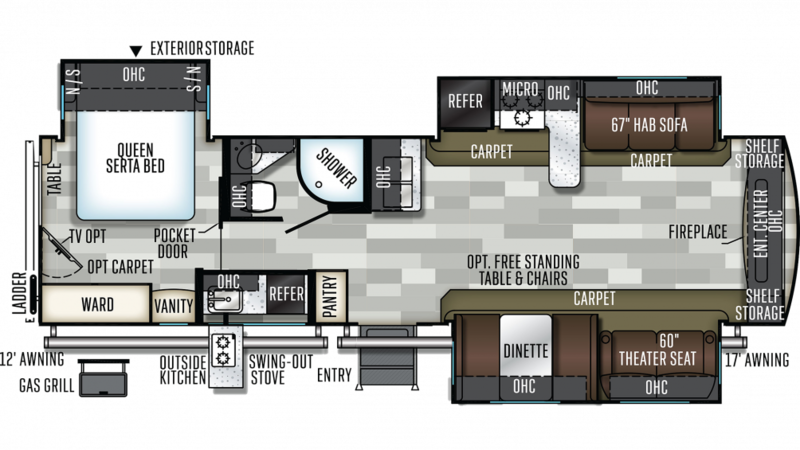 It's 35' 5" long and 8' 0" wide, and has 3 slides to maximize the interior space and comfort of this great RV! When it's cold outside, the efficient 35000 BTU furnace will keep everyone toasty and warm; and when the weather is sizzling hot, the modern 13500 BTU a/c unit will keep the temperature inside cool and fresh. Get a good night's rest in the master bedroom's Queen bed! There are comfy sleeping accommodations for up to 5 people inside this cozy camper. Eating out all the time when you're on the road gets old fast! And it's expensive. Thankfully, this RV has a big, modern kitchen with all the cooking appliances you need! The 3 burner range cooktop lets you cook up your favorite foods: steaks, chicken, fish, pancakes, bacon, scrambled eggs, and more! And you can store them all in the 9.00 cu. ft. refrigerator. With the 60 gallon freshwater tank, you won't run out of clean water anytime soon! When you want to stay outdoors and keep enjoying the fresh air, sunshine, and family fun, just open up the outdoor kitchen in this RV! You can cook up tasty, hot food for the gang in no time! Great for picnics and tailgating!